What Factors in a Restaurant are Most Likely to Prompt a Return Visit by Customers? 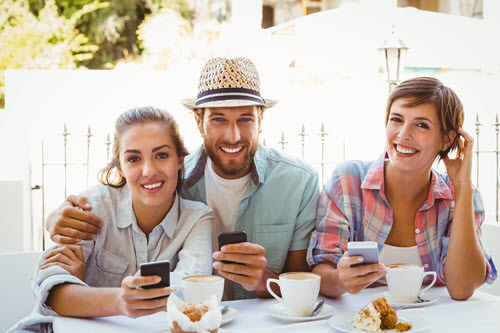 A recent report by Deloitte.com entitled “Second helpings: Building consumer loyalty in the fast service and casual dining restaurant sector” contained a lot of useful and intriguing information for restaurant owners about building loyalty among customer. Today we are going to pay specific attention to a table included on page 16 of the report. It is a comprehensive ranking of all of the factors that are most likely to induce a return visit. The top few items on the list are not at all a surprise. Obviously, the taste and quality of the food is going to be the number one most important aspect of a restaurant for just about any customer. What is something of a surprise is the low ranking of loyalty programs. These programs rank 24 out or 28 on this list, which would indicate that on an industry-wide level, they aren’t exactly accomplishing what they are meant to. 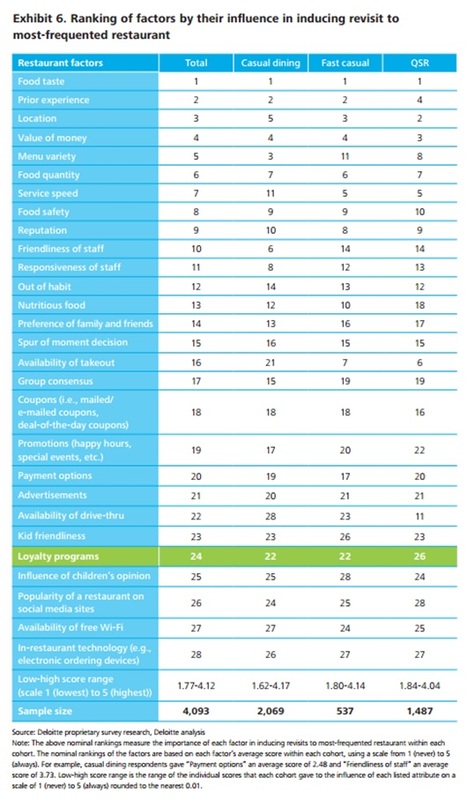 Some of the more surprising entries that rank above loyalty programs: payment options, spur of the moment decisions, kid-friendliness, availability of a drive through, food quantity and group consensus. This raises some questions about the effectiveness and value of loyalty programs in general. The biggest of these questions: why is it that loyalty programs fall so low on the list of reasons to return to a restaurant, when their entire reason for existence is bringing people back over and over again? As we highlighted in our previous discussion of the infographic that gave a cursory overview of this whole study, one of the biggest problems is that people simply don’t know about these programs, or don’t find them easily accessible. Restaurant owners need to better market their loyalty programs so that they will actually be used and valued by their customers. This is especially true given how high “prior experience” ranks on the list. Customers who have had a great experience in the past are far more likely to return, so it stands to reason they would also be more likely to join a loyalty program. 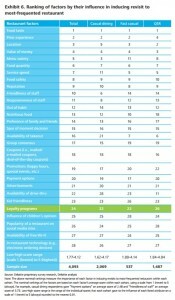 Outside of loyalty programs, this list provides restaurant owners with some valuable insight into what their customers do care strongly about. Restaurants that offer friendly service, provide food at a good value and care greatly about the variety and quality of their food are well-positioned to do great business.